Bauchi governor heads to court over INEC’s decision to resume collation of result instead of conducting a fresh poll – Royal Times of Nigeria. 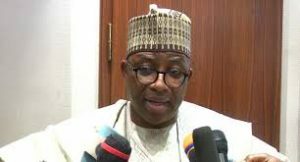 The Governor of Bauchi State, Mohammed Abubakar, has said that he will go to court to challenge the decision of the Independent National Electoral Commission, INEC to resume the collation of the results of March 9 governorship polls in the state. 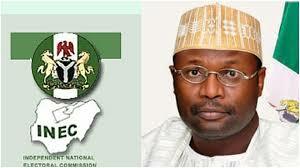 INEC had initially listed Bauchi among the six states where supplementary elections will hold on the twenty-third of March, but on Saturday the commission struck out Bauchi from the list, saying that it would no longer conduct a fresh election. The governor after a meeting with President Muhammadu Buhari today at the Presidential Villa, explained that his mission to the Villa was to brief Buhari on the latest developments, saying he did not expect the President to assist him in any way. According to him, the Returning Officer for Bauchi State, had at the end of the collation, rejected the result of Tafawa Balewa Local Government and those of the thirty-six other units spread around 15 local government areas of Bauchi State and then ordered a rerun. The governor, who said INEC’s decision is “illegal,” noted that where a Returning Officer has declared the result, only an election petition tribunal can reverse it. He added that when one considers the issues in Bauchi against those of other states whose elections were also deemed inconclusive, one wonders why Bauchi State is being dealt with this way. He noted that heading to court is the best way to go in this situation.